You are here: Home / Misc / Shrinkage? Come on now, that’s not very original. K2 fattys? 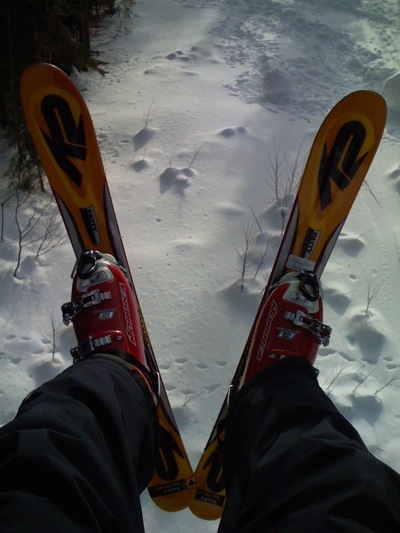 I’ve been skiing on a pair of Salomon 100’s for several years now, I love ’em. Granted, I didn’t learn to ski until I was in my 20s, and I’ve been skating forever, they feel like skating down the mountain. And the icy is bad, but the powder is way worse. You’re lighter than me, but hitting powder in those things is like trying to water ski, lean way back and try to keep your tips up, hitting powder unexpectedly, say on the edge of a groomed run, hello face plant. But I had same sort, great here for skiing in the Swiss. K2’s or? I prefer the extra large skis, more speeeeed! !